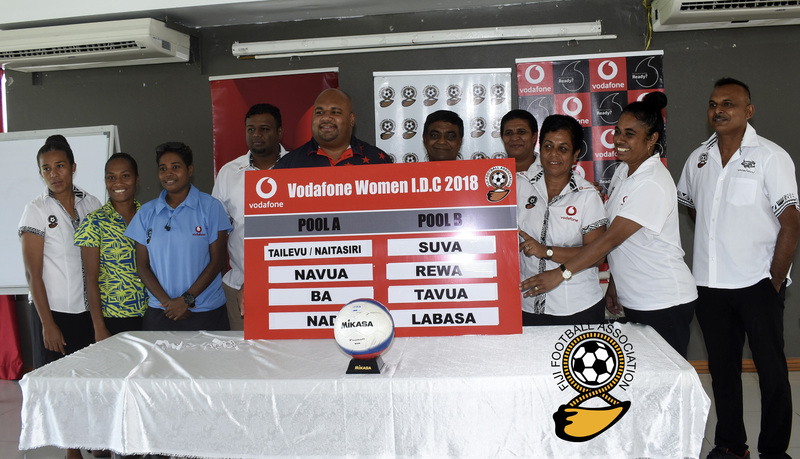 The 2018 Vodafone Women’s Inter District Championship pool were drawn yesterday at Fiji FA Headquarters in Vatuwaqa. Seven-time champion Ba was picked in Pool A with Tailevu Naitasiri, Navua and Nadi while 5-time champion Suva heads Pool B with Labasa, Rewa and Tavua. Fiji FA vice president and women’s football director Susan Wise said the Vodafone Women’s Inter District Championship (IDC) has been revived after a lapse of three years and a total of 8 teams will feature in this year’s edition which will be played at the Fiji FA Regional Academy in Suva. “We are happy to revive the competition as it will give the young and upcoming women footballers a good platform to display their talent and get recognized by the national coaching panel, “said Wise. She said the 8 teams were selected on merit and one of the criteria they used was the ranking of the teams in the Women’s Senior League. Vodafone Fiji Sponsorship Manager Adriu Vakarau said the company was proud to be associated with the development of women’s football and would support Fiji FA in all its activities. The group stages of the Vodafone Women’s IDC will be played from January 25-27 and the finals will be played the following weekend.